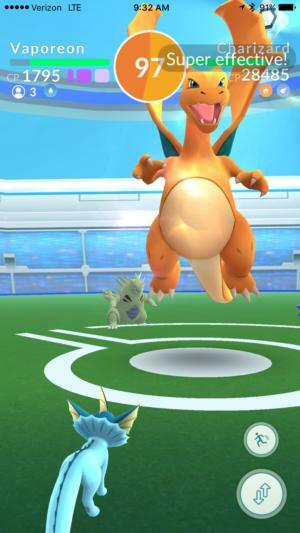 There’s never been a mobile gaming sensation quite like Pokémon Go, and in summer 2016, Niantic’s game had millions of people wandering their neighborhoods to catch digital monsters. You could see it on the faces of the people staring down at their phones as they shambled around: the excitement of catching a new Pokémon for the first time or winning a gym battle, or alternately, the frustration of the game’s many early glitches. But there might be another mobile phenomenon just like it next year or soon after: Niantic and Warner Bros. announced that they’re working on Harry Potter: Wizards Unite, a new location-based, augmented reality game. It will seemingly follow the Pokémon Go mold as it sends you around the real world to learn spells, battle magical creatures, and soak in some of that media universe’s ample magic. Early details are sparse, but based on what they’ve said, we have some sense of what to expect when Wizards Unite finally hits the App Store and Play Store (assumedly; no platforms have been specified yet). Here’s what we know so far, as well as what we’re hoping to see from this augmented adaptation. When it comes to massive entertainment franchises, Harry Potter actually seems like a rather ideal swap for Nintendo’s gaming series. Both Pokémon and Harry Potter are widely-loved, cross-media universes that appeal to all ages and have endured for 20 or more years. They’re also enormous money-makers: Pokémon has grossed more than $55 billion from its myriad ventures, while Harry Potter comes in behind at about $25 billion as of last year. Will we see a version of this, albeit with Harry Potter imagery? Most importantly, they’ve created vast worlds that loads of people care about, and that are likewise filled with plenty of interesting characters, places, story threads, and more. And that’s exactly why we’re excited to see what Niantic and Warner Bros. are cooking up with Harry Potter: Wizards Unite. They haven’t shared any screenshots or in-game imagery of any sort, but according to the press release, “players will go on adventures, learn and cast spells, discover mysterious artifacts, and encounter legendary beasts and iconic characters.” That’s all done by exploring the real world around you, whether it’s your local park, town square, or a nearby major city, or hunting for fun elsewhere while on vacation or traveling the globe. That’s about all that Niantic and Warner Bros. have said so far. But what does that all mean? Well, it sounds a lot like Pokémon Go on the surface, which shouldn’t surprise anyone. And that game was built on the back of Ingress, Niantic’s first augmented reality real-world experience, which had a pretty solid set of serious fans despite being less approachable than Pokémon Go. Based on what the developer suggested, Harry Potter: Wizards Unite will probably continue the evolution of Niantic’s game worlds, introducing new play ideas and concepts in a familiar overall template. Pokémon Go’s Raid Battles could adapt well into larger wizard fights. You’ll most likely create your own wizard or witch, hopefully with a bit more customization than picking clothes in Pokémon Go, and then enter the world in search of things to do. You’ll have creatures to battle, and the Harry Potter franchise has no shortage of them—look to the movie Fantastic Beasts and Where to Find Them for recent proof. You’ll also team up to fight those “powerful enemies,” which will probably be akin to Raid Battles in Pokémon Go, where you’ll need multiple players in a party to take down a stronger foe. And how about wizards’ duels in the place of Pokémon Go’s gym battles? As for learning spells, that’s an intriguing notion. Granted, that could be as simple as just leveling up your player profile as you amass experience, and then eventually having new attacks in battle. Hopefully there’s something more to it, though: some incentive to explore and discover new spells and attacks, and then some level of effort to actually use them in battle, rather than just tapping and swiping like crazy. Being able to use your phone’s motion controls as a makeshift wand could be pretty neat. 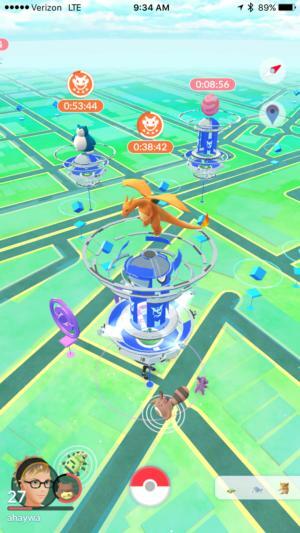 Will there be an equivalent to PokéStops and Gyms? That could involve finding artifacts, as mentioned. As we’ve experienced with Pokémon Go, there needs to be a pretty consistent stack of activities, incentives, and goals, otherwise the grind turns stale. But on the other hand, Harry Potter: Wizards Unite won’t hold attention for long if it just feels like a Harry Potter skin slapped atop a barely-changed Pokémon Go template. Keeping some elements makes sense, but for Wizards Unite to really resonate with fans, it needs to find a way to highlight the iconic storylines, characters, and locations of the Harry Potter franchise. They play much more of a significant role in Harry Potter than in Pokémon, which already had established game mechanics and concepts to adapt and build from. Hopefully, Wizards Unite can capture enough of the flavor of J.K. Rowling’s written work while making you feel like you’re creating your own story in the process. And—fingers crossed—let’s hope that some of the game’s technical advancements include stability, especially early on when there’s an inevitable deluge of players. Also, let’s hope they don’t try another Pokémon Go Fest-like event for this game before the servers and technology are actually up to the challenge of supporting such a thing. We’ll have to wait a while to find out, though: more information on Harry Potter: Wizards Unite will come sometime in 2018. While no release date has been announced yet, it seems likely that we’ll also see the game release sometime next year, perhaps close to the theatrical debut of the Fantastic Beasts sequel in November 2018. It will be the first of potentially many new Harry Potter games on the horizon for all platforms, thanks to Warner’s new Portkey Games imprint that’s handling the franchise going forward. But as the first of the bunch and Niantic’s successor to Pokémon Go, Wizards Unite is sure to have a lot of eyes on it as it emerges from the shadows next year—including ours. We’ll bring you more as we hear it.